Do not edit this file without first gaining my permission to editing access. Removed "Leader" class to make the bandits feel more lawless and 'rogue-like'. Altered prices and stats of clothing. Fixed most 'In my time of need' quest issues. 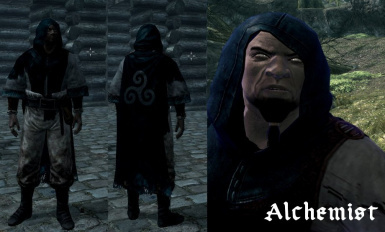 Changed the "Hammerfell Mage" to "Hammerfell Alchemist" for lore friendly reasons. 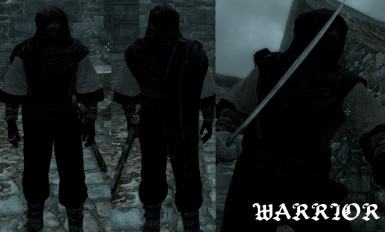 Changed the "Mercenary" Weapon to a Two-Handed Greatsword. Fixed textures with one of the hoods. 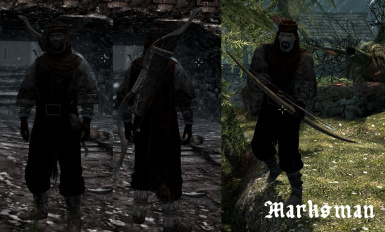 Changed the name of "Hammerfell Gang Leader" to "Hammerfell Smuggling Leader". 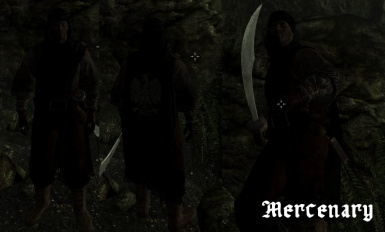 "Hammerfell Bandits" is a complete recreation of the Redguard Mercenaries from Hammerfell. This includes the editing of the few that already exist in the game world, such as the Alik'r, as well as adding over 100 new Redguard Bandits you will encounter on your travels. There are also 4 new craftable outfits, plus others that you will find on new enemies in the world. The mod also adds a new craftable Scimitar, complete with red rubies lining the hand guard. 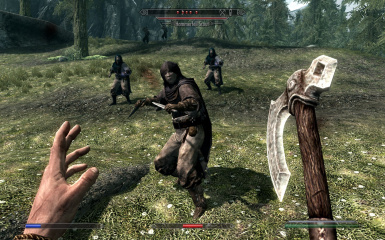 The mod adds 4 new Hammerfell Bandit camps to the land, in Whiterun, Falkreath, The Rift and the Reach. 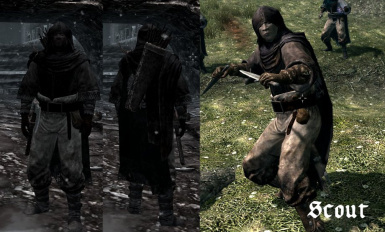 Each new enemy has their own custom retextured armour and headgear, and has their own combat style unique to each class. The Alik'r warriors from the quest "In my time of need" have been edited to make them less generic, and giving them more variation in their appearance. 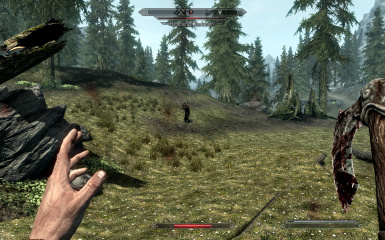 The aim of this mod is to make the Warriors of Hammerfell much more immersive and interesting for the player. It is also to give the people who enjoy playing as Redguard characters the option to have Armour suits more suited towards their culture and appearance. 1) Download the main File: "HammerfellBanditsV2.0.rar"
3) Make sure that "Hammerfell Bandits.esp" Is checked under Data files in Skyrim Launcher!